Company Description: Túath's aim is to provide long-term, safe, quality housing at best value whilst locally building mixed, sustainable communities. Tuath is primarily a service organisation, housing people in need and managing homes whilst responding to, engaging with and involving local people to make social housing work. Our core business is managing homes in a sustainable way, allowing people and families to peacefully enjoy, live and settle within communities. 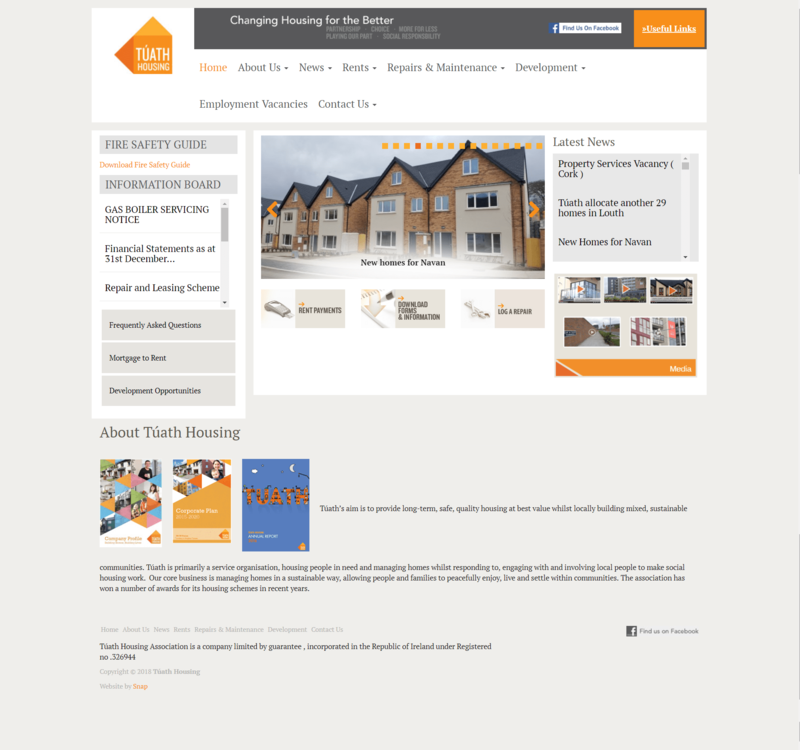 The association has won a number of awards for its housing schemes in recent years. 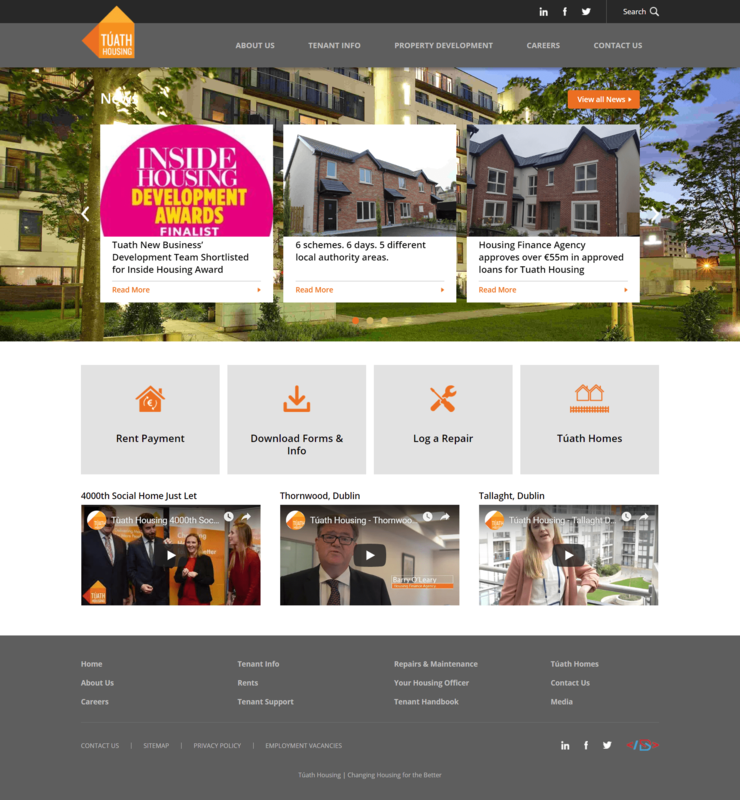 Objectives: New Website - Modern, Accessible and User first - Built in a WordPress CMS.